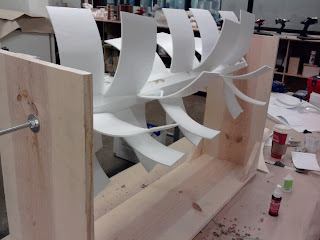 About a year ago I prototyped a vertical wind turbine. It failed to work because the surface of each blade wasn't turning enough air. 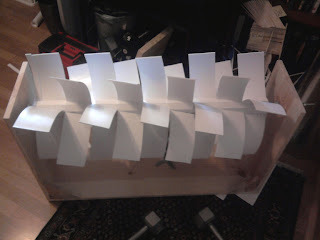 The turbine, even though it's plastic, ended up being too heavy. 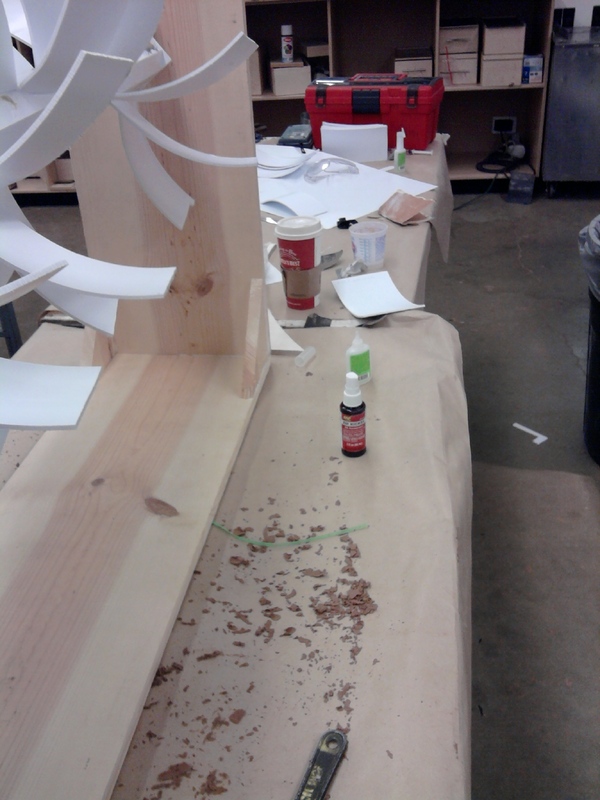 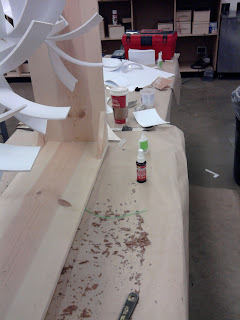 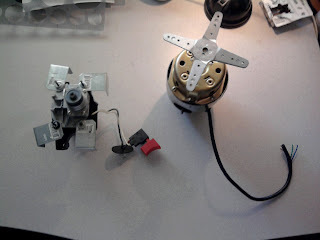 I used plywood for the base, which also contains the generator, and the turbine is made of styrene. 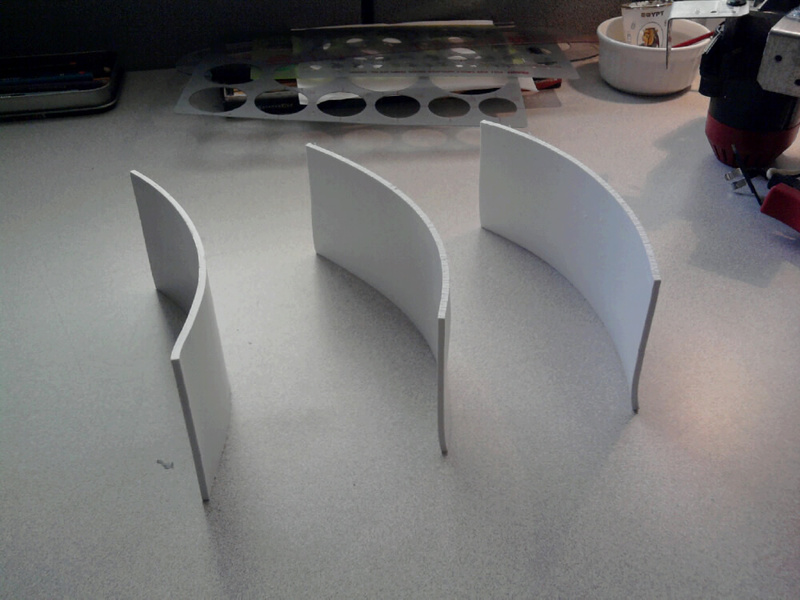 Each blade was thermoformed to a curved surface.